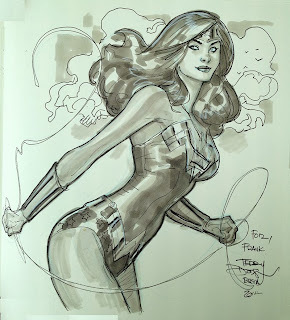 Here's a Wonder Woman sketch from Stripfestival Breda. Drawn in 10 x 13 sketchbook with Light Blue Col Erase, pens and Copics. Due to a larger than usual workload I won't be attending the CTNX show in Burbank in a few weeks. I will be appearing along with Mark Schultz, Jim Silke and Thomas Yeates. All will be signing at the booth of Flesk Publishing. I will be signing as usual. No exactly sure what I will be doing sketch wise as time is so short. Price will range from FREE to 300 Euros. I will doing sketches only at the show and there will be no pre-show list. 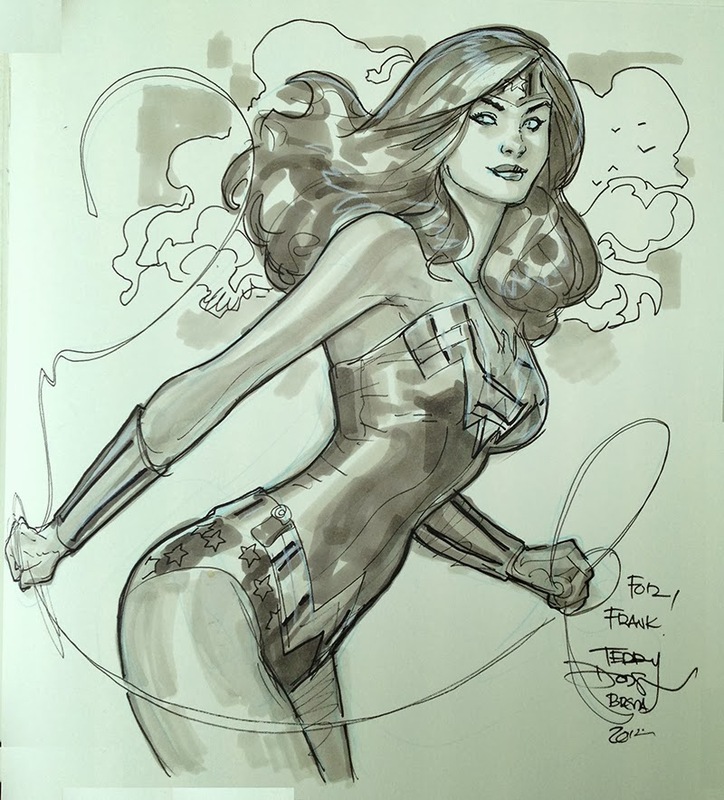 I will be selling original art from Songes, X-Men, Avengers, Avenging Spider-Man, AVX VS, The Defenders, Uncanny X-Men, Wonder Woman and my recent Catwoman, X-Men and Ghost covers plus pinups and sketches. I will have all my prints for sale. I will also have postcards of all available as well.